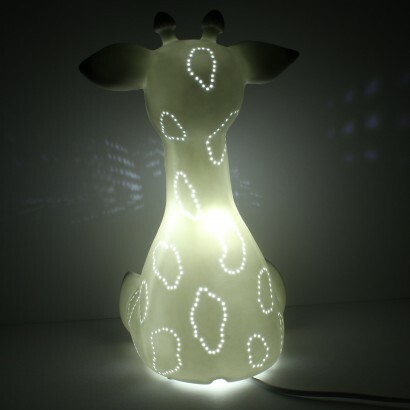 Sitting tall and proud, this adorable ceramic giraffe fills your child's room with a comforting glow. 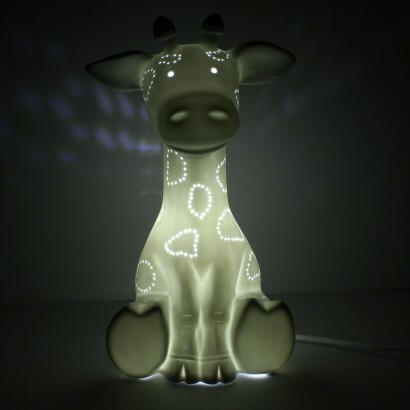 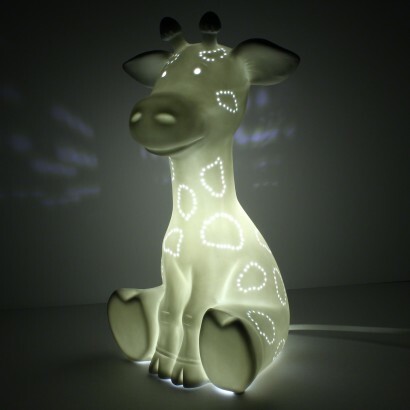 Detailed with pinhole design, this sweet giraffe appears to sparkle as the light shines through the holes projecting onto surrounding surfaces. 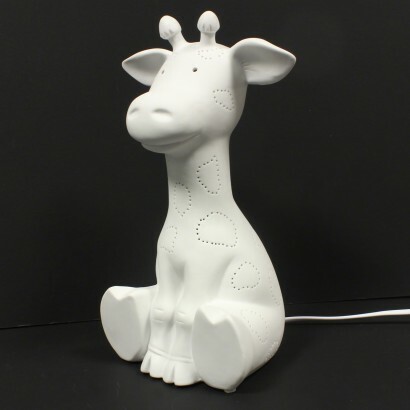 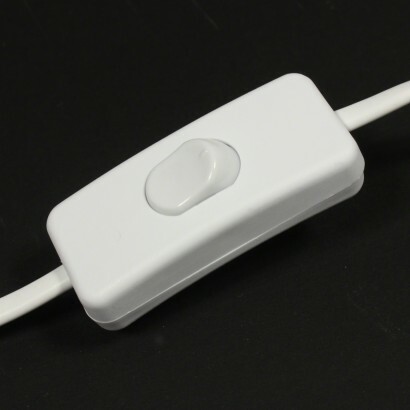 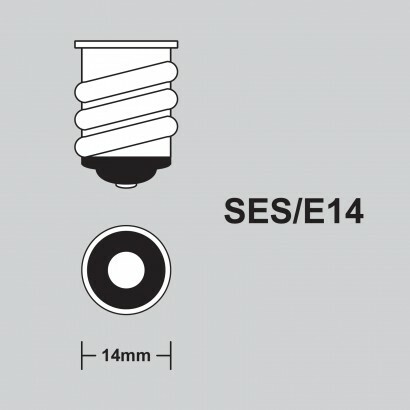 Mains operated with an inline switch, this cute character is a must for kids rooms and nurseries making the dark a friendlier place to be.